Cha bhi sgioba Chataibh a' cluich ann an lìogaichean na h-iomain am-bliadhna. Tha an cluba aig tuath air a bhith a' dèanamh adhartais anns na bliadhnaichean mu dheireadh is bha iad ag amas air ceum a ghabhail suas gu Lìog Tuath 2 'son a' chiad uair. Cha tachair sin a-nise is mì-chinnt a' cuairteachadh na pàirce aca aig Viewfirth an Inbhir Theòrsa. Chaidh cead-dealbhachaidh iarraidh 'son ionad spòrs ùr le talla spòrs is raon lùth-chleasachd. 'S e Viewforth an aon phàirc spòrs san sgìre a tha mòr gu leòr 'son iomain. Tha an cluba an dòchas gun tèid an t-iarrtas a dhiùltadh, ach tha a' mhì-chinnt a' fàgail nach feuch iad air an lìog am-bliadhna. Bidh iad a' cluich ann am farpaisean chupa ge-tà, is dùil aca pàirc timcheall air Inbhir Nis a chleachdadh. Feumaidh Cataibh fuasgladh maireannach air choireigin a lorg ma tha iad 'son cluich san lìog an 2017. Thàinig naidheachd nas fheàrr à deas is Dùn Omhain gus cluich ann an Lìog Deas 2 'son a' chiad uair. Ged a tha iomain làidir air an dùthaich timcheall air Dùn Omhain, cha robh cluba sa bhaile fad bhliadhnaichean. Tha ìomhaigh a' gheama sa bhaile air fàs ge-tà, is Caol Bhòid air taic fhaighinn bho mhuinntir an àite. 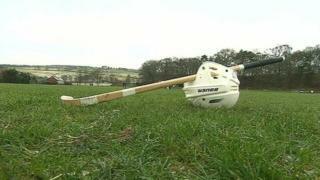 Chaidh Camanachd Dhùn Omhain a stèidheachadh ann an 2015 is tha iad a-nise làidir gu leòr 'son feuchainn air an lìog. Bidh dòchas ann dhaibh is Òban Latharna air crìochnachadh sa 5mh àite an Lìog Deas 2 an 2015, a' chiad sheusan aca san fharpais. Ann an naidheachdan eile, dh'innis Gleann Urchaidh is Baile a' Chaolais nach bi aca ach 1 sgioba le chèile am-bliadhna. Chluich na dàrna sgiobaidhean aca an Lìog Deas 2 an-uiridh. Tha dùil gun tèid clàr gheamaichean 2016 fhoillseachadh aig deireadh na mìos.